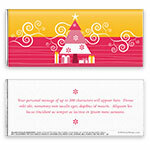 This glam and funky wrapper design will spread smiles this holiday season. Now available in three contemporary color schemes. 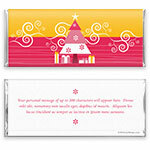 Design: Christmas tree illustration with gift and background swirls.